Employees everywhere, especially in areas along the Atlantic coast, Gulf of Mexico, and Southwestern United States, are less than three weeks away from the start of the 2018 Atlantic Hurricane Season. The Atlantic Hurricane Season begins on June 1 and ends on November 30 with September traditionally being the most active month. One question – Are you ready? 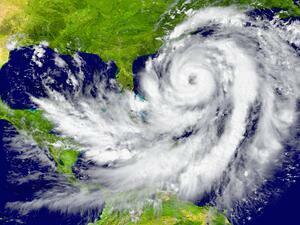 Hurricane Planning is essential to an organization’s emergency action plan. There are five hurricane categories cleverly nicknamed: Cat-1, Cat-2, and so forth. Likewise, there are five hurricane planning categories: prepare, train, respond, recover and learn. Let us journey through those categories in an effort to achieve success with our organization’s continuity of operations. An emergency action plan (EAP) is essential for an organization to respond to any emergency. Does your plan account for hurricanes? Does your organization reside in a geographical area prone to such natural disasters? Proper preparation for natural disasters, such as hurricanes, is a way for your organization to be more proactive towards a safer and healthier workplace. One step to proper preparation is to hold a discussion. Gather your managers, supervisors, and front-line employees to discuss your current plan and check for any necessary additions, changes, or updates needed. How about a chain of communication? Do you have emergency contact information for every employee? How is this information stored? Electronic records can fall victim to power outages while written documents can fall victim to flood waters. From the CEO to your front-line employees, your chain of communication should be solid and not run the risk of being blown away by catastrophic winds. How about your first aid kits, emergency supplies, and fire extinguishers? Some organizations operate on a 24/7 schedule and, in the event of a natural disaster, would have plans to maintain operations during the event. These plans must include securing the essential necessities for your essential personnel. Any hurricane action plan is potentially a notorious paperweight if your organization does not take the time to practice the plan with drills or scenario discussions. If your organization has alarm systems – test them. If your organization has automated call or text services – test them, too. Hands-on training will allow your organization to succeed on so many levels, not the least of which will empower your employees to practice new skills and find ways to continuously improve overall. You must remember that employees have their own way of learning. Avoid forcing complicated topics that can destroy an employee’s confidence and above all – destroy your organization’s overall success. A hurricane watch indicates storm effects within 48 hours while a hurricane warning indicates storm effects within 36 hours. Unlike other natural disasters, hurricanes are predictable, trackable, and give organizations enough time to respond to the recognized hazards associated with weathering a storm. Organizations should monitor reliable weather information for the latest details. When a hurricane is imminent in your area, organizations should begin securing their facilities and bringing outdoor objects indoors. Non-essential personnel need to remain at home until it is safe to travel back to work. Essential personnel, especially those who will have to remain on site during a storm, should check their emergency supply kits. Three to five days is key. Three to five days is the amount of supplies you need per employee. Water, food, clothing, and toiletries top the list and should be able to survive a power failure. First aid kits, flashlights, radio, extra batteries, full tank of gas in your vehicle, and extra cash should not be missed. These supplies will reassure essential personnel that their hard work to keep operations going will not fail and business as usual will return sooner rather than later. Once the storm passes, the recovery process follows and organizations need to be ready for a new storm. The storm has passed and your facility and surrounding neighbors are without power, covered in fallen trees or worse, and drowning in contaminated flood waters – what next? Keep monitoring reliable weather information for the latest details. Hurricanes tend to strike when the heat is on, so when the power is off, your organization needs to take the necessary precautions against heat-related health problems. Employees exposed to excessive heat can quickly suffer from heat exhaustion or a heat stroke. Employees should stay hydrated and rest frequently. Your organization should recognize the hazard of carbon monoxide (CO) poisoning if portable generators are put in place. CO is a colorless, odorless, toxic gas and employees have died from CO poisoning because their generator lacked ventilation needed to avoid tragedy. Employees should use flashlights, instead of candles, to avoid potential fire hazards. Fallen trees are often dealt with by chain saws. Personal protective equipment and proper procedures are essential for the safety and health of employees involved in chain saw operations. Flooding is especially imminent for those organizations further inland. Health hazards from water contamination, electrical hazards from underground or downed power lines, and safety hazards from wading through flood waters are all associated with flooding. Employees should keep away from flood waters. Now that power has been restored, debris has been cleared, and flooding has receded – what next? Your facility is up and running, but has your organization returned to normalcy? Coping after a traumatic event and recognizing signs of distress are essential during the recovery process. Your ‘Continuity of Operations Plan’ should include ensuring that every employee’s safety and health is closely monitored. Every employee needs to take care of themselves, avoid excessive media coverage, and know they can ask for help. Organizations should recognize common signs of distress, such as: energy changes, concentration difficulties, and appetite changes. Recovery can take days, weeks, months, or even years. The emotional toll of hurricanes can easily be overwhelming. Organizations and their employees are on the journey together, so let’s be there for each other. We prepared, responded, and recovered from the storm. What did we learn to survive again? Any well executed plan deserves to be reviewed, scrutinized and revised accordingly by any successful organization. Gather your managers, supervisors, and front-line employees again to discuss your plan’s successes and failures. Organizations should consider presenting their findings to their entire workforce. A company lunch or dinner event is a great way to bring everyone together both socially and responsibly. Involving employees everywhere in the learning process will result in the entire organization’s ability to survive the next storm. John Wooden said, “If you don’t have time to do it right, when will you have time to do it over?” June 1 is right around the corner. How can your organization stand out and be more proactive for this year’s hurricane season? Organizations everywhere should do everything in their power to avoid a catastrophic blunder of leadership when a potential disaster races to disrupt their employees’ safety and health. Our HSE Advisors and Specialists can provide valuable and unique direction for your organization as you begin to review and revise your hurricane plan. Learning more about hurricane-related hazard recognition and risk mitigation is a great step towards success. Establishing a complete heat illness prevention program is another step. Hurricane-related infographics are great to hang in employee break rooms and they make excellent payroll stuffers. Hurricanes can disturb any organization’s status quo. Let’s work together to prepare, train, respond, recover, and learn with the utmost regard for the safety and health of organizations and employees everywhere.